Robert Simmons of Georgia State’s Biology Department is not your average biology professor. What do you get when you cross a woodworker, a musician, a glassblower and a biologist with a photography hobby? It sounds like the beginning of a terrible joke, but the reality is much more interesting. Biology professor Dr. Robert Simmons, who is inspired by life underneath a microscope, holds a glass model of the fungi curvularia geniculata that he created. “I’m a creative guy,” Robert Simmons said with a laugh after reciting his seemingly never-ending list of hobbies. Simmons managed to work these hobbies and interests into his average day, leaving us all to wonder how on earth he does it. After all, he has the same 24 hours and 7 days a week as the rest of us, doesn’t he? 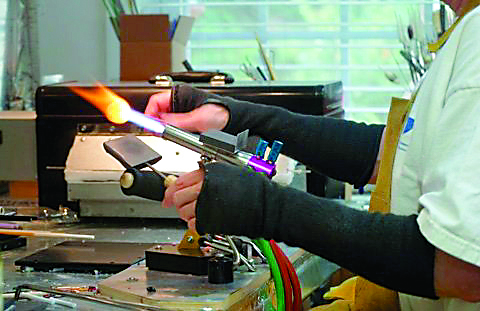 Perhaps the most prevalent of his interests is glassblowing. Since the age of 10, Simmons has been fascinated with the process and has since learned the art and turned it into a regular hobby. The beads have gone a long way since then. Now they are used as milestone markings for children with serious illnesses, like cancer. Beads of Courage is an organization that helps children cope with life threatening illnesses through art. “They get different color beads to symbolize their treatment journey,” said Jean Baruch, the executive director and founder of Beads of Courage. For example, overnight hospital stays will earn a child a yellow bead, skipping school for a treatment will earn a blue bead and so on. Of all his hobbies and work, Simmons counts his position as the director of bead donations for Beads of Courage among the most rewarding and one of the best things he has done in his life. 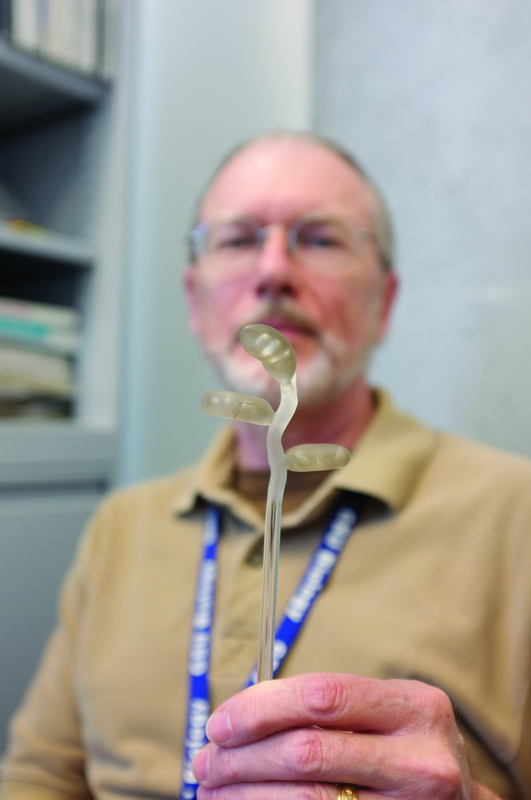 While he relishes seeing his students move on to successful careers, he says that his work with Beads of Courage has been a different sort of meaningful experience. Simmons always seems to find a way to link his artistic side with his scientific side. “Many things in this life reconnect in ways you might not immediately expect,” he said. From glass sculptures of micro-fungi to a photo series of microscopic things found on beaches, he’s found a way to weave biology into his hobbies. “A lot of people think science and arts are opposites when actually they’re two sides of the same coin,” Simmons said. Needless to say, Simmons has made sure to embrace all sorts of chances to live life to its fullest. And it’s not long before Simmons begins his next project: being a part of a National Geographic film education series.